Why "Time Matters?" We know from our conversations with customers like you that when it comes down to it, time is what matters. It matters for launches, proofs, freight and many other areas on a daily basis. It is for this reason that we want to be your "partner in time," serving your organization in a way that matters, every day. On Time Delivery – to our first promise date. Cycle Time – the number of days it takes from PO to shipment. Responsiveness – how many hours/days we take to provide you with pricing, CAD drawings, proofs. Documentation Support – the effectiveness and accuracy of CoCs, packing lists, reports, invoices, etc. We know that each of these areas are of the utmost importance to our customers, which is why we’re working on improving each of them in the months and years to come. So, which is most important and why? What we’ve been hearing from you is that responsiveness is by far the most important key service area. In fact, through informal surveys and discussions with customers, responsiveness is ranked as a top priority nearly 80% of the time. We know you need answers and deliverables that we provide, and you need them quickly. As such, we will focus on the responsiveness aspect of our service campaign first through areas like pricing, ArtFlo, Solutions Engineering and CAD (drawings, samples, etc.). Additionally, we will not only share our goals with you (how fast we plan to respond, etc. ), but we will also provide the actual metrics on a regular basis, so we know together how each area of the campaign is performing. 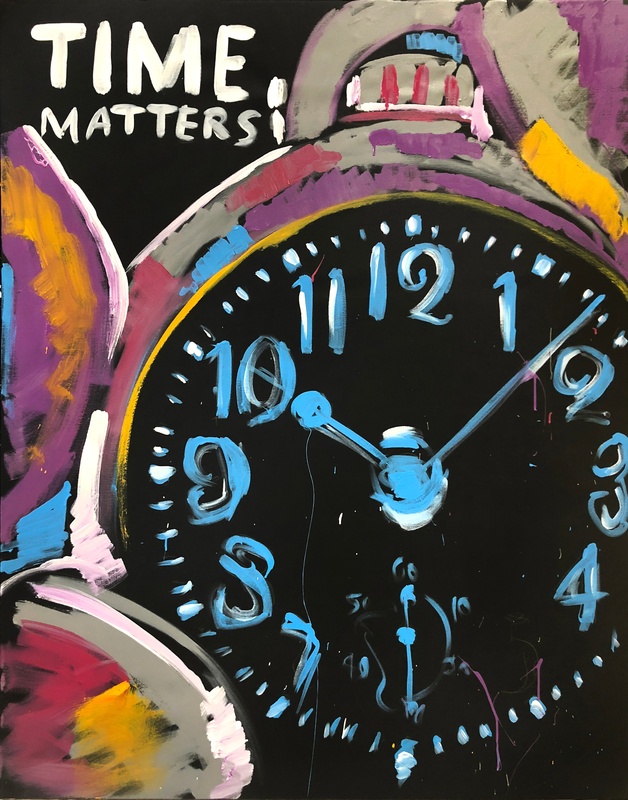 Be on the lookout for more on Time Matters. Over the months to come, we are confident you will see us hit some of your Time Matters hot buttons. 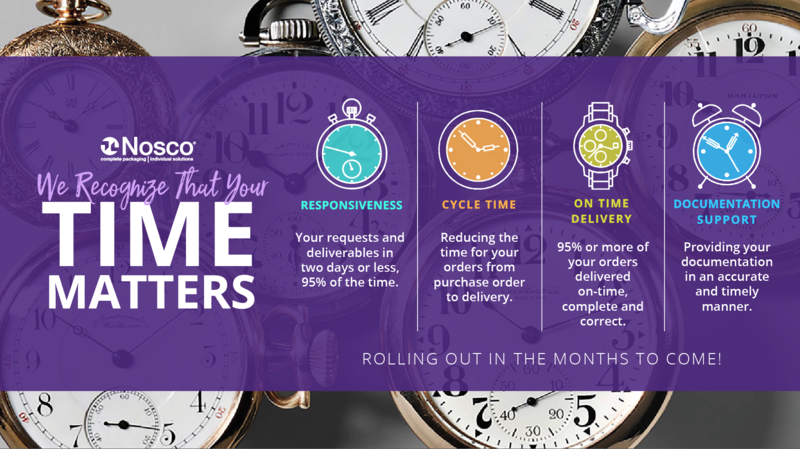 And, don’t hesitate to tell any Nosco Employee Owner that on some particular need or deliverable that “Time Matters.” We will make it happen for you. Above is an image painted by Elliot Fromm in real-time at our Nosco Bridgeview Grand Opening in March of 2018.